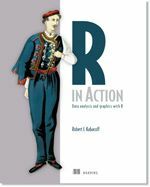 The second edition of R in Action, the book inspired by this site is available! It takes the material here and significantly expands upon it. If you are interested, you can get it here. Use promo code ria38 for a 38% discount. I assume that you are already familiar with the statistical methods covered and instead provide you with a roadmap and the code necessary to get started quickly, and orient yourself for future learning. I designed this web site to be an easily accessible reference. Look at the sitemap to get an overview. If you prefer an online interactive environment to learn R, this free R tutorial by DataCamp is a great way to get started. 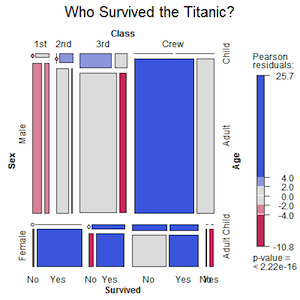 If you're already somewhat advanced and interested in machine learning, try this Kaggle tutorial on who survived the Titanic. A link to the new resource The R Graph Gallery has been added. A new section on time series analysis. 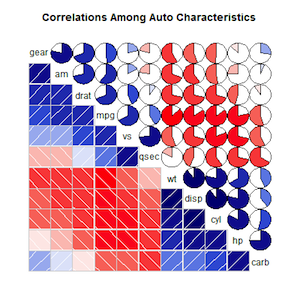 A new section on ggplot2 graphics. For old friends, please note that I've renamed the section on trellis graphs to lattice graphs. Since both the lattice and ggplot2 packages can be used to create trellis graphs, changing the name makes the distinction between these two sections clearer. If you currently use another statistical package, why learn R? It's free! If you are a teacher or a student, the benefits are obvious. It runs on a variety of platforms including Windows, Unix and MacOS. It provides an unparalleled platform for programming new statistical methods in an easy and straightforward manner. It contains advanced statistical routines not yet available in other packages. R is available for Linux, MacOS, and Windows (95 or later) platforms. Software can be downloaded from one of the Comprehensive R Archive Network (CRAN) mirror sites. I constantly strive to improve these pages. Feedback and suggestions are always welcome!